It is almost time for Christmas season here in Sarasota! That means that it is almost time to drink eggnog, eat cookies, sing Christmas carols, wrap presents, and as if they already haven't been up, hang decorations! If you're looking for some jolly events for the holidays, here's where to find the best Christmas lights in Sarasota to get you and your family fully immersed in the holiday spirit! If you're looking to see lights on the water this year, view them at the Holiday Boat Parade of Lights. The best viewing spots will be from Marina Jack's restaurant, Bay Front Park, City Island Park and Centennial Park. Celebrate the holiday season at Downtown Sarasota's Five Points Park. The annual ceremony will take place on Nov. 29 from 5:00 to 9:00 pm and the tree lighting will take place at 6:00pm. Sarasota has an annual Holiday celebration where they light up St. Armands on Dec. 7 from 5:30 to 9:00 pm. It's a great way to see lights and get some shopping done too! 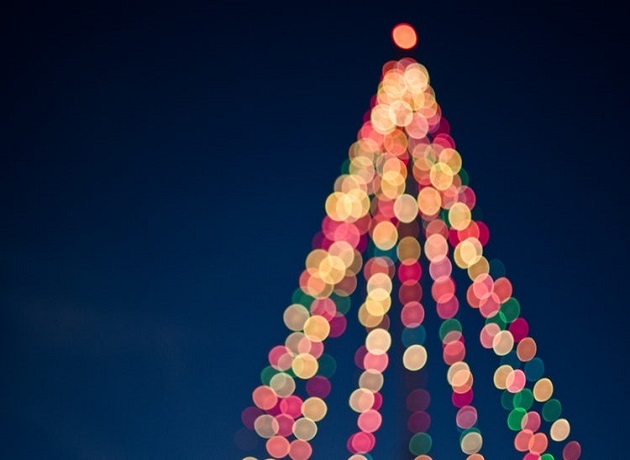 This family-friendly event will take place on Dec. 8 from 5:00 to 9:00 pm and will have a Christmas tree lighting, music, and activities for children too! Head to the Green Bridge Fishing Pier in Palmetto or Bradenton Riverwalk for the best seats in the house to see decorated boats on Dec. 8 at 6:30 pm. Few things top enjoying holiday things to do in Sarasota with your family. Stay Connected with all things Sarasota, by connecting with 941area. We have Things to do in Sarasota, Events, Restaurants in Sarasota, and more! Register at 941area- it's free!